This CD is a re-release of the 1995 Rhino Records single CD edition of the film's soundtrack. 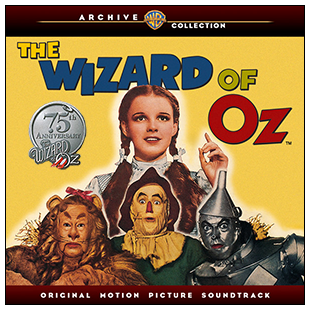 The cover art is the same, with the Warner Arcive Collection logo added. Also added to the front, on the outer plastic wrapping, is a 75th Anniversary sticker. The artwork is the same on the back as well. The booklet is an abrigded version of the 1995 booklet slightly re-arranged but with the same photos. Even the CD artwork is the same. This "Archive Collection" edition was first offered online, via iTunes, in 2012, then on Amazon digital download in 2013. January 28, 2014 saw this release in CD format. Photographs Courtesy of: John Fricke and Turner Entertainment Co.